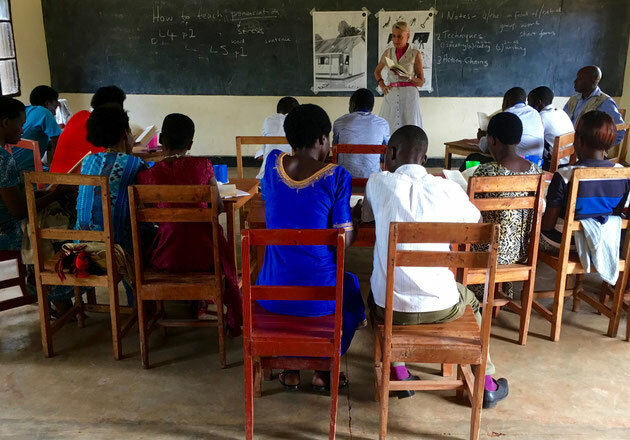 Our dream has long been to get our textbooks and teachers' guides in the hands of every primary teacher and pupil in Rwanda. Along with our books we provide teacher training on how to use them. Englishman Frederick George French, CBE, was a true Renaissance man. In his long and distinguished career he was a military officer, judge, author, teacher, philanthropist. His legacy is the engaging, pictorial English grammar books he created for East Africa in the 1950s. 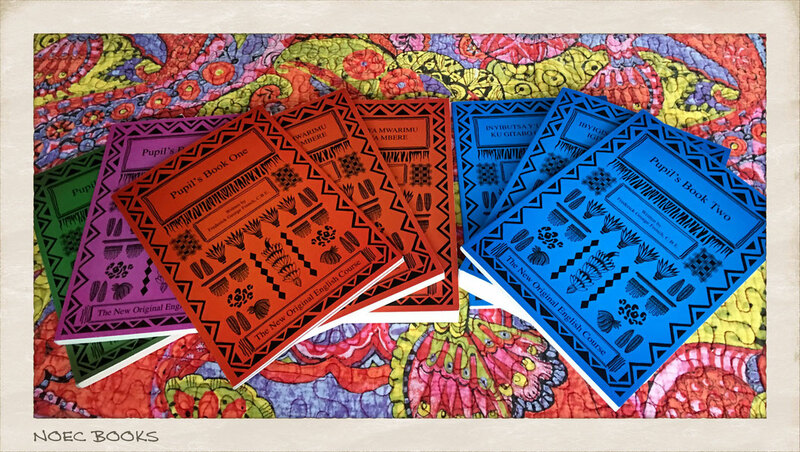 These timeless books, known originally as The New Oxford English Course: East Africa (NOEC) have done a better job of helping teachers teach English than anything published before or since. Tens of thousands of East Africans credit Mr. French’s textbooks with their facility with the English language. 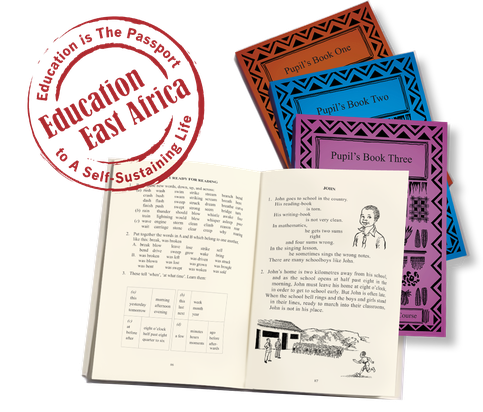 Throughout the 1950s and 1960s these books were used to teach English in nearly every school in East Africa. When meeting someone who has learned English from the NOEC books, you can’t help but admire their excellent command of the language. Successive textbooks do not come close to teaching English with the universal clarity these books provide. While it is tempting to think new always equates with progress, this is not necessarily true, particularly as it applies to education and literature. There is a reason Shakespeare, Dickens and Winnie-the-Pooh are as popular today as they were in their time. They transcend age, geography and circumstance. We have all had our Hamlet, Scrooge and Pooh moments, whether we live in Kigali or London. 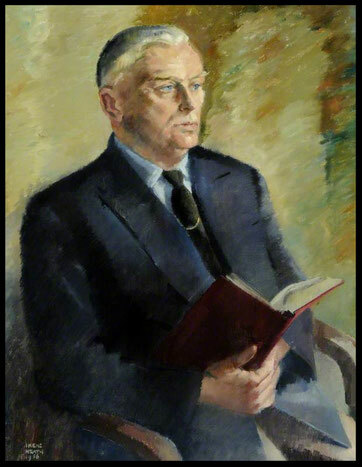 Thus it is with the classic English books, Frederick George French gave us some sixty years ago. Nothing comes close to them for teaching English. Most teachers are not confident in speaking the English language and, therefore, have great difficulty in teaching it. Most books and support materials give them very little guidance on how to teach, and even less guidance on how to pronounce the words properly. More fundamentally, other books and support materials do not pay attention to the structure of the language. We hope to change this. Like all charities, our greatest need is financial. If you would like to remember a favourite teacher or pupil by contributing to our work, PayPal Giving Fund will pass on 100% of your donation to us. There are no transaction fees when you choose this option. For other ways to give, please see below. We are grateful for your enthusiasm and support. We added surtitles and subtitles to the video to help explain what you’re seeing. Where you see ‘SPER,’ this refers to us. 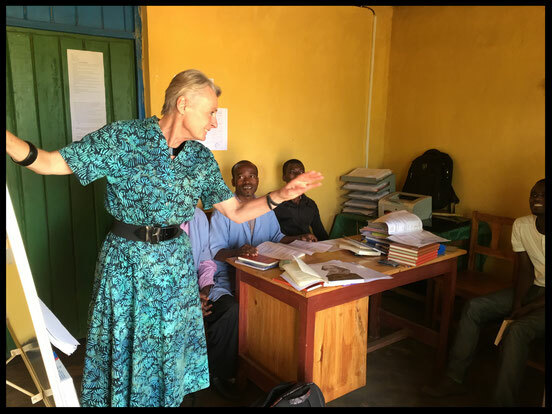 In Rwanda, our project is called Support to Primary Education Rwanda, or SPER for short. Education East Africa is SPER. In the first half of the video we’re observing the class before introducing The New Original English Course (NOEC) This is how most primary school pupils are taught English in Africa. In the second half of the video, you will see the teachers and pupils using our NOEC books, with accompanying wall charts. Notice how much easier it is for everyone when there’s a real life connection with the words they are asked to learn. This is why we are desperate to get NOEC into every primary school in Rwanda. NOEC provides certainty that the teaching will be systematic, progressing from one point to another in regular fashion; that English will be broken down to a limited number of regular patterns and that these will be practised regularly and systematically; that new habits and skills will be learned by practising the patterns of behaviour of the language; that the pupils will enjoy the content and be motivated to learn. The Handbook for use with the Teacher’s Notes to Book One helps the teacher to organise the lessons and to understand parts of English speech. It also sets out extensively the various techniques to be used in teaching the language. The Teacher’s Notes to Books One and Two give detailed lesson notes for each period with suggested timings, the stress to be given to words and how to use teaching aids. It also highlights difficulties that will be faced by Kinyarwanda speakers and how to overcome these difficulties. Whatever the reason, the fact remains that many teachers have suffered a loss of confidence in themselves and what they have been teaching, and there has been a marked swing away from grammatical studies, which very often, did give both teachers and pupils something solid to hold on to. As a result the teaching of English seems to have lost whatever ‘backbone’ it may well have had, and standards have suffered. The NOEC books provide a solid solution to this. The most important key to the success of the NOEC books is the pupil’s books themselves. The content is of meaning and interest to the pupils, drawing on their environment and people and things to whom and to which they can relate. The stories are mostly funny, and mostly follow the same characters through several episodes. The content is built up by repetition and revision; each lesson uses language items from previous lessons so that the language learning is continuous and not segmented. The exercises are many and various. The early books emphasise looking at words and pronouncing them, while recognising them and differentiating them from similar words. There is built-in group and pair work, and lots of action suggested for the pupils to be able to demonstrate their understanding. This makes learning English fun for everyone. Kindly click the button of your choice to donate or engage with us. When you donate with PayPal Giving Fund (last button on your right) 100% of your donation supports our work. There are no transaction fees. If you're a UK taxpayer, please Gift Aid your donation. As we're an Approved Charity, the UK government will top it up by another 25%. © Education East Africa. All Rights Reserved.